If you need to renew sun-damaged and wrinkled skin in a single treatment, our Pearl Fractional facial skin resurfacing laser is tough to beat. Patients of any age with sun damage, uneven skin texture, brown spots or wrinkles will benefit greatly from our Pearl laser treatment. Pearl smooths skin texture and softens fine lines and wrinkles on the face, neck, upper chest and hands. Your Pearl treatment will result in luminous, smooth and clear skin. The best news of all is that Pearl is an uncomplicated way to dramatically restore your skin’s youthful look. 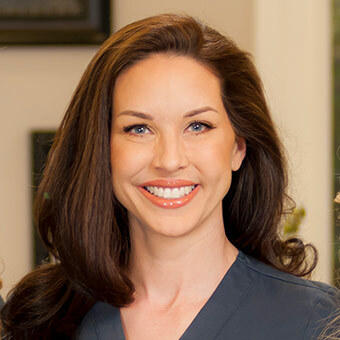 At Dana M Goldberg MD we will do a scientific evaluation of your skin using the Visia Complexion Analysis System during your first visit Complimentary Consultation. Our Aesthetic Consultants are CME-Certified, known for their experience, skill and artistry. We offer a layering of various services using medical-grade products to complement your Pearl treatment and achieve luminous results. Patients of all ages find a Pearl treatment once a year, complemented with a daily skin care regimen, helps to keep their skin in optimum condition. A Pearl treatment gently delivers pulses of light to the epidermis while it sends heat to the deeper layers of skin to stimulate longer-term collagen growth. We frequently combine Pearl with other laser treatments to offer outstanding results but with fewer treatments than if either option were used alone. After your Pearl treatment, we exfoliate the skin with a Complimentary Vibraderm exfoliation treatment for even better results. If you desire a similar but less aggressive treatment, we offer a variety of chemical peels that are three to five times less intense than our Pearl treatment. What Can I Expect From My Pearl Treatment? During the procedure your clinician guides the Pearl laser over your skin, treating the top layer with pulses of light in a pre-selected pattern. The laser simultaneously sends heat to the deeper layers of skin to provide longer-term collagen-stimulating benefits. On day three or four skin will peel or slough off revealing new, healthy and vibrant skin underneath. In a short time, patients will notice overall skin clarity, smoothness and softness. The treatment lasts 15 to 20 minutes for a full face and feels like a series of brief pinches. The side effects of Pearl are modest. Your skin will look like it is sunburned, but without the oozing that accompanies many other treatments. We apply moisturizing products immediately after the treatment to keep your skin moist. You will continue the application of recommended healing products for approximately three to four days after your treatment. We will advise you when to resume your at-home skin care routine. For a few days following the treatment, you will need to wear protective clothing and limit sun exposure. You can start wearing make-up when your skin is clear and no longer sloughing. What Is The Social Downtime? Downtime is the time spent recovering from a procedure. With social downtime you can continue your normal daily activities. However, you may not wish to attend important social events because your face will appear pink or red for three to four days following the procedure.